Once you are hired at Southampton Camp & Club, we’ll email you information to help prepare for the summer of a lifetime! We will also have a Staff Group on Facebook so you can start to get to know our new staff members and ask questions to our returners. Below are answers to some questions you may have, and of course, feel free to contact us with any other questions you may have. All staff members must complete a Health Form prior to camp, which includes an up to date immunization record. Your Doctor might require a physical prior to releasing this information. Staff members are entitled to use the services of the camp’s Health Center at no charge. The camp maintains a full-time health services staff including licensed registered nurses. No, Southampton Camp & Club provides a complimentary lunch meal service for staff and campers alike. Staff are also provided breakfast at camp in our dining hall which is open from 8:00am through 8:30am. While our menu has been developed to satisfy children, it is nutritious, healthy and fresh. There is plenty of fresh fruit and vegetables and considerations are made for those on vegetarian and other diets. At lunch, counselors sit with their campers and are expected to supervise while in the Lunch Areas. Counselors are responsible to ensure that their groups clean their lunch area before going to their next activity. No outside food is permitted on camp due to the number of allergies of our campers and staff. SCC is a Nut Aware campus. Staff members are covered under the New York Workman’s Compensation Law for injuries sustained while on the job or in the performance of one’s duties. Any activity not sanctioned by the camp, which causes injury, will be at the expense of the employee. Staff members, both American (by law) and International, should carry their own comprehensive accident and health insurance for any non-work related injuries or illnesses. Who makes up the staff at Southampton Camp & Club? The staff at SCC is comprised of division leaders, group counselors, activity specialists and about 10 support staff working in maintenance, grounds, transportation, kitchen, medical, security and office. The camp population (and staff population) is evenly divided between males and females. The majority of our staff is between 18 and 24 years of age. Southampton Camp & Club attracts staff from all over the United States and abroad! From the East End of Long Island and other sections of New York to all across the United States, Canada, Great Britain, Ireland, and beyond! SCC is a melting pot of cultures and experiences. Does SCC offer staff housing? Southampton Camp & Club has a limited amount of staff housing that we provide to senior leadership staff, and those international staff members that do not have housing in the local area. Accommodations are split between on-site living, and off-site living. All accomodations are dormitory-style, and are equipped with Internet (for use during time off) and both bathroom & kitchen facilities. Monday through Friday. Sign-in is at 8:30 AM for staff not involved in transportation or the morning Leadership meeting at 7:40 AM. Dismissal is at 4:15 PM. Staff involved in transportation can expect to begin their day at approximately 8:00 AM and should be finished by 5:00 PM. Some staff may be required to stay late for parent visiting and/or extended day trips. Breaks throughout the day can be arranged only with the Division Leader’s approval. The campers are at camp between 9:00 AM and 4:00 PM. Our staff members serve as role models to our campers and as such are expected to maintain a neat and professional appearance. Southampton Camp & Club is a uniform camp for staff. Staff must wear their staff shirts (we will provide you with 5 shirts for the summer), shorts and sneakers daily. Female counselors must wear one-piece bathing suits only when in the pool with their campers. No extremes in hair color, piercings or body art are permitted. We provide equipment and supplies for all sports and activities & sunscreen. You will be required to complete 4 days of orientation in June, which will cover all aspects of camp and what will be expected of you in your role as a counselor or specialist. The dates will be outlined in your contract. This orientation also gives you an opportunity to get to know the other counselors and staff. Orientation will give you useful training in order to deal with various situations you may come across at camp. All orientation dates are mandatory for all staff. Total Compensation, as per your contract, is divided into two equal parts: Salary and Completion Bonus, each of which is 50% of your Total Compensation. Salary checks will be distributed bi-weekly (every second Friday) and your Salary will be pro-rated for time worked during each 2-week time period. Once you have completed the summer, you will receive your final Salary check and your Completion Bonus. 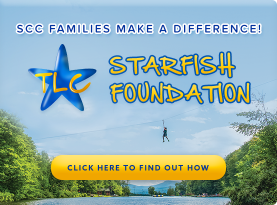 Please note that your Total Compensation will be pro-rated for time missed and our Perfect Attendance Bonus ($100 for completing the 43-day contract) requires perfect attendance for all orientation and camp days. All required camp forms (health and working papers) must be turned in prior to receiving your check. Be organized. Come to camp with a positive attitude each and every day. 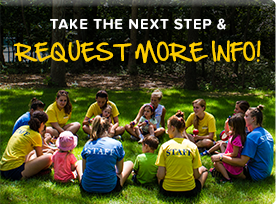 Get to know your campers & fellow staff. Think of ideas to entertain them before you arrive at camp. Talking with returning staff may also give you insights, so ask for email addresses before camp to find out their views and ideas. It is hard work but if you put in the effort it will be one of the most rewarding experiences of your life.